AlTonya Washington has been a published romance novelist for 10 years. In 2013, her Harlequin Kimani novel His Texas Touch won the Romantic Times Magazine Reviewer's Choice Award for Best Series Romance of 2012. In addition to being an author, AlTonya also works as a college Reference Librarian. Writing as T. Onyx, AlTonya released her latest erotica Ravenous: Ruler of Perfection II in 2013. 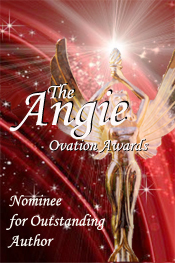 Her newest title with Harlequin Kimani is "Provocative Passion" nominated for an AMB Ovation Award for Outstanding Interracial Romance and the sequel to the January 2013 release "Provocative Territory". In November she released "A Lover's Debt", the 17th title in the Ramsey Tesano saga.